Following my ‘Celebrating International Women’s Day’ post in March, this week starts the launch of a new female partnership series on The Glow Girl blog. One which celebrates women and invites them as a guest feature every month bringing their unique knowledge to you. Today we start with celebrity Chinese Astrologer Anita Rosenberg and I am excited to be sharing my experience with her - once you read on, you will understand why she is an important resource for me and can be for you too! Meet Anita Rosenberg, former movie director, award winning writer of Feng Shui Luck and ‘go-to expert’ in Los Angeles, Aspen, India, Panama and Vietnam for Feng Shui & BaZi Chinese Astrology. Anita helps people reach their wealth potential, improve their businesses and enrich personal relationships. She works with many notable clients including Miranda Kerr, Virginia Madsen, Jennifer Aniston, Gwyneth Paltrow and many fortune 500 CEO’s. Anita’s unique blend of Western and Chinese Metaphysics along with a vast knowledge of many spiritual modalities, from tarot to kabbalah, crystals and wicca allows her to transform and illuminate homes, businesses and the lives of each client she works with. This was certainly true of the wisdom Anita poured into me during my time with her. When I first moved to LA six years ago, a mutual friend in New York introduced me to Anita. We soon met for lunch and she told me all about her Chinese Metaphysics and Feng Shui journey and to be honest, this kind of talk was way too California ‘woo woo’ for me. 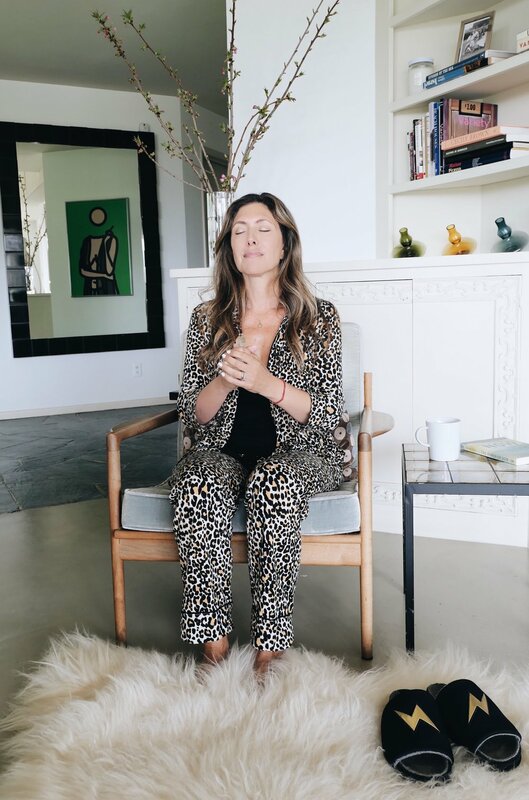 Although I found her story interesting, I still remained reserved about booking a BaZi Chinese Astrology session with her - I kept thinking this is kinda out there for me, especially as a born and raised pragmatic New Yorker! Crystals? Feng Shui? Meta-what?! Then about six months ago Cristina Cuomo, editor of The Purist invited me to a celebration for Donna Karen’s 70th birthday at Urban Zen in West Hollywood where Anita was also a guest. I was so happy to see her - we chatted quite a bit and I truly felt like the universe reconnected us that night. 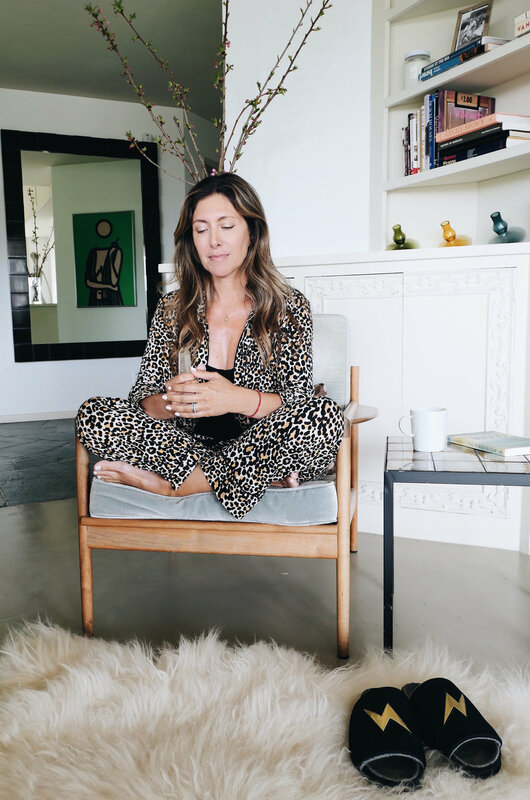 In light of the more holistic direction I am heading these days, I decided to explore Anita’s gifting further and my time with her was certainly enlightening. BaZi (Destiny) is a life map. It does not predict the future - it DESIGNS it. Based on your birth date, BaZi charts read like the story of your life where you are the star. It shines a spotlight on your true nature so you can maximize your talents, excel at work, strengthen relationships, overcome weaknesses, make healthier choices and inform decisions based on luck cycles. BaZi is not a fixed outcome, which is why it’s so interesting. Using the element of free will, you decide to do things differently allowing control over outcomes. Understanding BaZi will shed light on what makes YOU happy and which is achievable. During this session I had so much to learn, luckily Anita produced a report with my BaZi Chinese forecast. A life map with specifics to my health, wealth and career. It was fascinating with the last sentence saying “when you are clear on who you are, everything is easy.” Anita’s endearing approachable character, gleeful presence and 18 years of spirituality brought something into my life that was very powerful. This was so interesting to me as I started the year with the goal to pivot The Glow Girl into a more holistic health and wellness space, supporting, promoting and working with products, services and connections which bring to the life the true essence of a Glow Girl. I am grateful to Anita for recommending that I include a selenite stone and intention card with each purchase of my LOOMA X Melissa Meyers Glow necklaces for additional healing energy (see below for purchase with discount code). Anita also gave me a quick education on some stones, crystals and magical candles that would be helpful to me in reaching my spiritual goals. She suggested that I select a Lemurian crystal wand when I had my session with her. Then, she had me stand with my back towards the West (feng Shui…back always west) and ask it a question for guidance while circling the wand in from of me. If I felt pulled toward the wand, then the answer was a “yes,” if away then a “no”. It was kinda crazy but strangely enough, it works! Lemurian crystals are all wands and as such, conduct, amplify, and focus the Universal Life Force, augmenting the healing power of the healer. In spiritual healing, wands focus the healing elements of the Universal Life Force on areas of the body that are weak or suffering from being out of balance. Lemurian wands are used to bring a sense of oneness to a person suffering from feelings of disjointedness or detachment. When life seems to be swirling around someone, and they seem to be lost in the whirlwind, use a Lemurian Seed Crystal in the healing process. Melissa Meyers X LOOMA Glow Necklaces (including selenite stone shown above with intention card. Use code GLOW20 for 20% off! Click here to buy now! Below are some of my favorite products which help support me in my wellness space. I learned from Anita that the 2019 forecast in relation to the year of the pig will be a year to rejuvenate and replenish because of the earth-water combo. The best use of this energy is to make plans for the future, tie up loose ends from previous years and get ready for a new cycle starting in 2020. Therefore, nurturing and building relationships will help you move forward to accomplish goals and establish new partnerships. I hope you get a chance to check out Anita’s website and learn more on how you can live your best life this year! Anita stocks a range of products which all hold healing or prosperous properties. 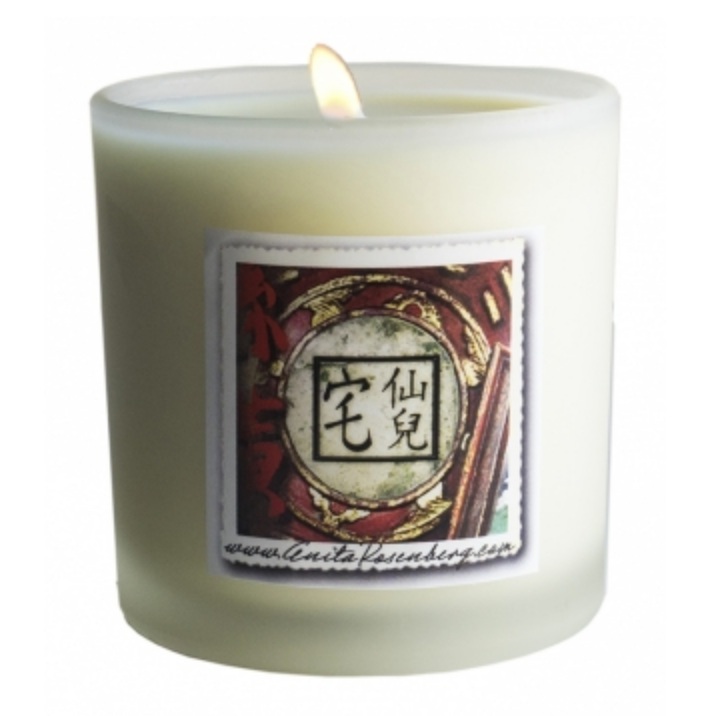 I love the Ganesh Magic candle for prosperity, success and happiness. *Cited from Anita Rosenberg BaZi Chinese Astrology report. 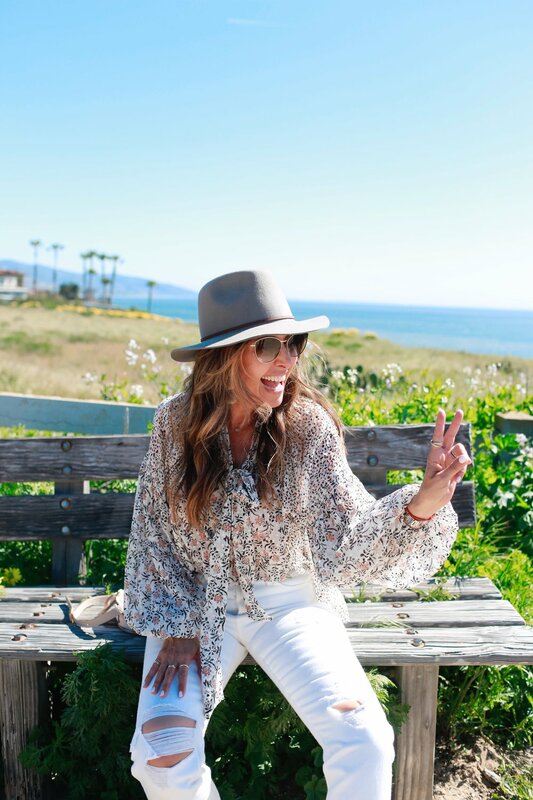 LAST DAY of the Shopbop SALE Including My White Denim and Floral Top Look! Today is the LAST DAY for the Shopbop Sale where you can save up to 25% off depending on how much you spend. This includes many of my favorite designers and most of their regularly priced merchandise which rarely goes on sale so make sure to take advantage today before the sale is over. Some of my Spring must-haves are white jeans and floral blouses - the perfect combo this season. See below for ideas on how to accessorize and shop this fun, casual look. Remember to use the discount code EVENT19 at check out! by clicking directly on the images in the carousel below! Pants are by Levis. Similar here. Floral top by Ulla Johnson. Mules by AGL. Similar here. Bag by Chloe. Sunnies by Oliver Peoples. Mix and match stylish accessories like a fedora hat, mini saddle bag, fun mules, drop earrings and sunglasses. Enjoy shopping this fabulous Shopbop offer for one last day and hope you grab some wardrobe must-haves! Please share some of your favorite pieces nabbed from the sale in the comments below. You already know I love to get a deal and share it with all of you! :) Since now is the perfect time to refresh your wardrobe for Spring, I’m super excited that Shopbop announced that they were having a sale up to 25% now until April 12th. Read on to shop some Spring staples including my fave high-waisted denim and white tops that will take you through the summer and beyond! Check out the sale here now! Scroll down to the bottom to see my favorite designers who are participating in the sale. Click on the items directly to shop out the carousel below! High-waisted denim and chic white tops are the perfect combo this season! Below are some of my favorite designers on the Shopbop sale - click on the links to shop by designer. Hope you find some great new jeans and pretty white tops, shoes and sunnies from this amazing sale!